MJ Medical has been awarded several contracts to provide equipment planning and procurement services for Yeovil District Hospital NHS Foundation Trust (YDH). The leading health planning consultancy will work with Interserve Prime, YDH’s strategic estates partner, to deliver the projects. 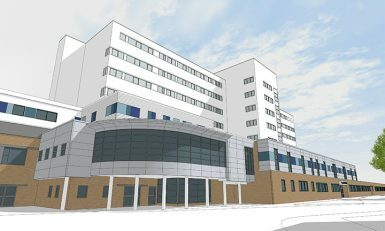 Work has already begun on a series of small-to-medium-sized projects, as well as the completion of a modular ward extension, a special care baby unit and a ward medication management programme. “While we’ve worked with a number of NHS Trusts over the years, this is our first opportunity to work on projects being delivered through a strategic estates partnership. As the NHS looks for alternative approaches to financing and developing its estate, we will undoubtedly see more of these types of partnerships over the next five years. This experience will ultimately place us in a strong position for similar opportunities within the UK market,” says Nathaniel Hobbs, business development lead for MJ Medical.